Days of Large Format Photography seems to be going away. Or so it is claimed. This day and age we have so many useful things to take pictures with – phones, digital cameras. Now digital cameras and phones can even take videos. And resolution keeps coming up, and printing services are offered for everything and all these wonderful stylish applications allow you to mimic about anything. So why bother with Large Format Photography, right? Why bother with something that been around for two centuries and slow to set up and outdated and hard to lug around and it takes time to get pictures ready? Why bother with proper cooking, when there are fast food joints on about every corner? Why learn to cook if you can buy ready-meals in grocery shops. There is something about film, and Large Format shooting process (be it film or collodion or even paper negatives) in particular , that completely stops all that fast-pacing , must-have-it-now-or-else-i-will-die attitude of ours. 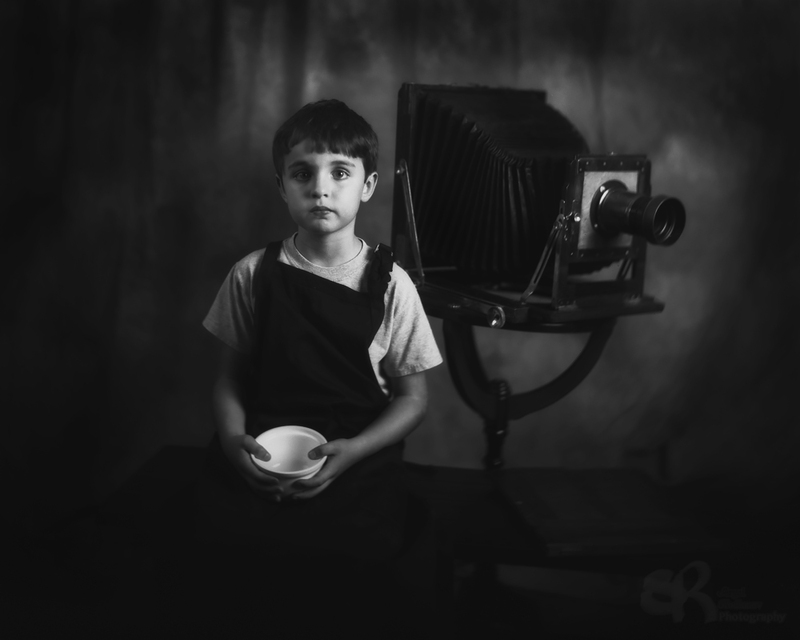 When you stand behind large format camera, when you taking picture with it – you taking your time. Things slow down, you take time to chat with your subject. Time to know them better. If you shooting landscape – you spend time setting up, you breath air, you listening to birds, you looking around for that perfect cloud to get light just right. None of that “oh here we are” snap-snap-snap “i will later check in lightroom/photoshop, lets move on” stuff. And when pictures come out, when we looking at the negative or positive – there is life behind it. That almost magical moment when you open your film processor, or when you looking in the tray, as negative comes out to life for a first time and you proudly go “ha! i got this one right! i didn’t screw it up!”. When pictures of your vacation from year ago finally getting printed and you relive every moment of it with a smile. Yeah, we can talk about resolution of large film that far exceeds things, that enlargements are possible to enormous sizes. That you can control focal planes and finally have razor thin depth of field without having one eye out of focus. But it is all technical. Large Format photography isn’t just about technical side however. It is about experience and it is about art as well. May be even more, because technical is just technical. Its not hard to learn technical side of things. Every time you look at the print you proud. Like when you were kid and for the first time your parents or grandparents ate meal you cooked and went “yeah! thats tasty!”. Thats smile. That moment. Re-lived every time over and over again.